Google Maps provides powerful mapping features including directions, satellite views, distance, travel time, street views and more. In entrée V4 we've begun integrating Google Maps so that you can take advantage of these features for any users who are allowed Internet access. 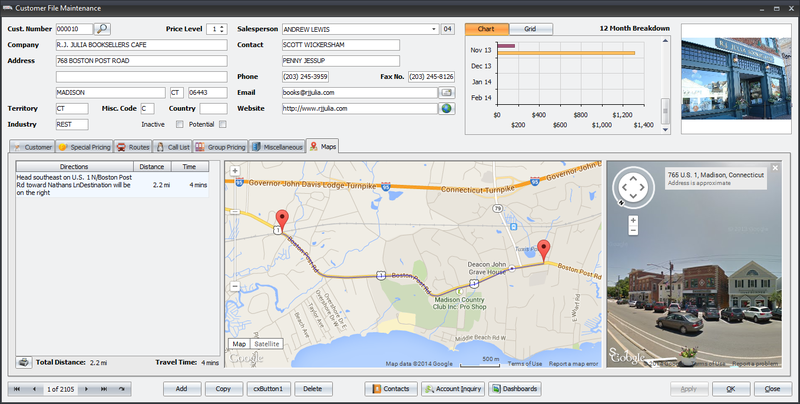 You can easily map your customer locations and have directions and drive times from your warehouse provided. Your DSRs can use the mapping features to find similar accounts nearby accounts that you already service. For example, locate all the restaurants within one mile of a restaurant who is a current customer. Lastly we will be providing Google's "route planner" and "traffic" map features to assist during the Assign Routes phase. First introduced by Microsoft in Microsoft Office 2007, the V4 SQL release of entrée includes "ribbon menus" to help you find what you are looking for more quickly and intuitively. All the menu options have a graphical icon which visually represents what that menu choice accomplishes. Once the user is used to the visual icon, they can identify the menu option much faster than reading a menu title. Menu options related to each ribbon category are grouped together. This makes it easier for the user to find what he is looking for. 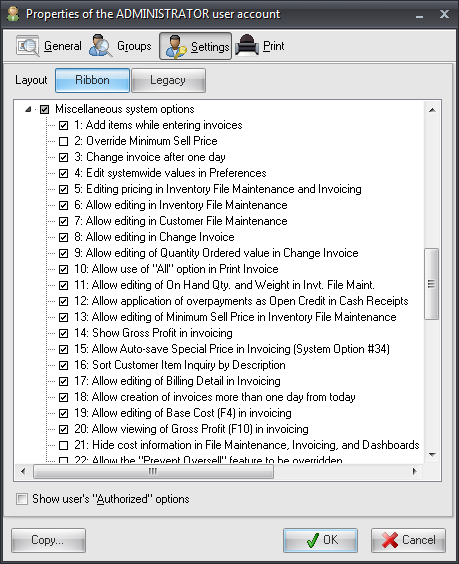 For example, on the "Inventory" ribbon, all options related to inventory, including file maintenance, transactions, reports and utilities are grouped together. The same is true for the other ribbon elements of "Customer", "Vendor", "Salesperson", etc. Frequently used menu options can be set by the user and added to the "Quick Access Toolbar", which can appear directly above the ribbon menus or below them. Previous versions of entrée had a similar concept called "My Menu". Because entrée V4 is more graphically based, to appreciate these features you will need to incorporate such things as item images and brand logos. This is especially true if you use entrée.NET for your customers online ordering or the Electronic Order Pad app for your DSRs. 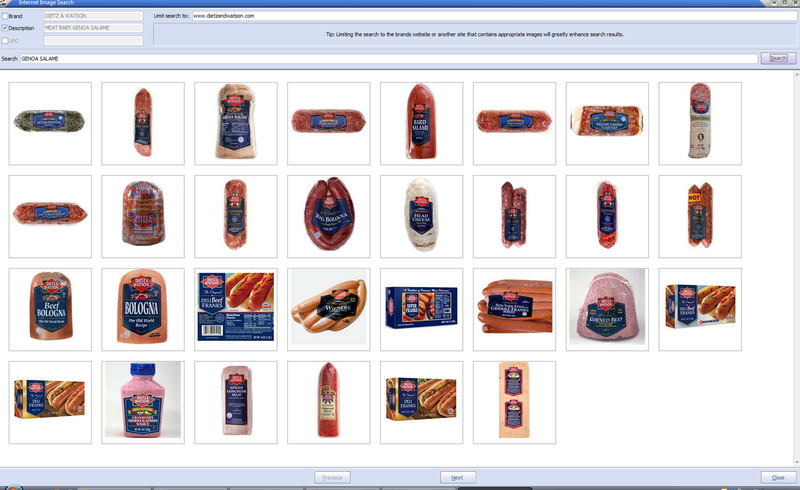 Your customers are used to seeing important graphics such as the item image, and it influences their buying decision. It also makes it easier to identify items, rather than just a textual description. The entrée system makes it easy and fast for you to locate the proper images with a built in Internet Image Search feature. The search results are displayed so you can page through all the images to ensure you pick the best one for your needs and so that your customers can quickly identify if they've chosen the correct item. Using the proper brand logo for your items makes it faster and easier for your staff and customers to identify and order items. In order to save you the time it takes to locate a properly sized brand logo, along with a link to that brand's website, we've incorporated over 600 brand's information as an available resource in version 4 of entrée. We started off by analyzing the market to determine the top brands used by foodservice distributors, and came up with a list of just over 600 of them. While this isn't all inclusive, it should save you hours of time and resources from locating this information on your own. Access to all key areas of entrée is managed by a comprehensive, encrypted, security management system. Each of your users will be assigned a Username and Password, as well as a Group designation. There are currently hundreds of features within entrée you can choose to allow or not grant access to for your users. Security accounts are also used to track who entered and made changes to an invoice, who made inventory cost and price changes and to track what users do in other parts of the entrée system. Rather than spending a great deal of time authorizing what functions each of your users is allowed, you can define Group security. For example, you can define an "Order Entry" Group, which only allows those certain features you designate for your order entry personnel. You can then assign specific users into the "Order Entry" Group, and they will automatically be allowed those features within entrée.